 At Scott Young, DDS, our focus is on providing you with the highest quality dental care available for beautiful, long-lasting results. For that reason, we use some of the most advanced dental technology available. Digital X-rays, also called digital radiographs, allow Dr. Young to see more detail in the structure of your teeth and mouth, and allow for greater accuracy when performing dental repairs. By using digital intraoral cameras, we obtain instant images that we can share with you on the chairside monitor. They can be enlarged for viewing details; they can be emailed to you so you have your own copy, and if we are referring you to a specialist for any reason, they can be emailed to the specialist in seconds. Since digital photos show your mouth surfaces in color, they supplement X-rays, which show structures beneath the surface in black and white. Dr. Young uses neuromuscular technology to first relax your jaws into a more natural resting position, and then to adjust your bite to its optimal functionality. This may include the use of a TENS machine, nighttime mouth guard, or reconstructive dentistry to allow your jaws, muscles, and teeth to interact in a healthy, comfortable way. Periodontal treatment and gum recontouring have improved greatly with the induction of soft tissue lasers into the dental field. The traditional way to correct a gummy smile was through manual excising with a cutting device, such as a scalpel. However, soft tissue lasers allow Dr. Young and his team to more closely map the adjusted gum line and create a symmetrical smile.